What are you watching Athena? Staring out the window at the birdies as usual! Beautiful photo. Such pretty eye color!! 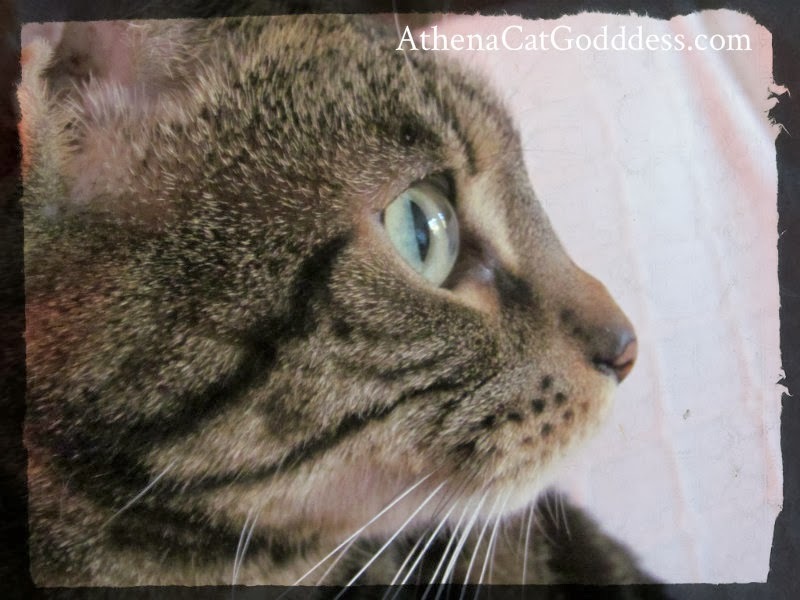 Athena did you know about Whisker Humps Wednesday yours are quite distinctive and pretty. Such a pretty profile. And beautiful green eye color. I do have nice eyes, don't I? My mum tells me that all the time.